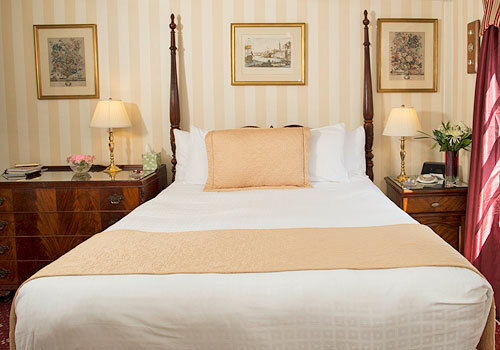 Located at the rear of the second floor, this peaceful room is furnished with a queen size four poster mahogany bed. The private bathroom has a pedestal sink and stand-up shower. This room also features it’s own private deck. 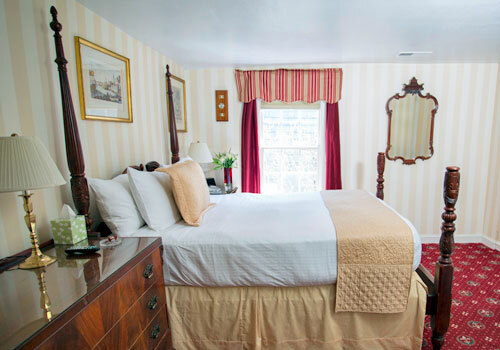 The Perry Room is named after the Newport War of 1812 Naval Hero, Commodore Oliver Hazard Perry.